Jeamette Lock is moving on as stateside coordinator for In Deed and Truth Ministries. She will continue to be a vital part of our team of prayer warriors and of course a dear friend to our family. No one knows the ministry and how best to pray for us all better than Jeamette. She began her ministry to our family in 2000, before we were even married. Since then we have grown into a family of five and a ministry that employs over 40 national staff. In addition to these wonderful staff we have Dr. Tom, our missionary doctor from Florida and Whitney Smith, a missionary under World Gospel Mission, overseeing the Community Health Evangelism program and numerous volunteers that visit and help out throughout the year. Jeamette has grown alongside our ministry growth, organizing teams to support us, planning and overseeing our annual fundraiser as well as working closely with our board to ensure our ministry Glorifies the Father in America, from good stewardship to reporting to our donors. She has valuable field experience as she has traveled to Tonj three times on short term trips. She has been the glue that has held all these vital parts together and we could not do what we are called to do without her on the team. I know she has been stretched at times but she has faithfully and fantastically served us as our stateside coordinator and support for the past 13 years. So what does this mean for In Deed and Truth Ministries? God’s timing is always perfect and when you have served in a war zone you really learn how to trust HIM with EVERYTHING!. He always knows what’s coming next and works all things together for good to those who love Him and are called according to His purposes. 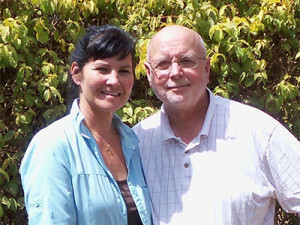 Jim and Dena Ennis have served our ministry as volunteers for the last 6 years. They have spiritually mentored our family and been to South Sudan many times. Jim had shared with Sabet his desire to be more involved and they immediately stepped up when they heard about the need. For us, this was confirmation as they were our first choice. We are so thankful and excited to have them take on this new role. We appreciate your prayers for Jeamette and her family, the transition for the ministry and for Jim and Dena as they take on this responsibility. Thank you for sharing GODs Wonderful Hand. He is soo good to bring the right people at the right time. Thank God for the 13 years that Jeamette served the Ministry. May it be GOD who continues to guide her and lead her into her destiny. 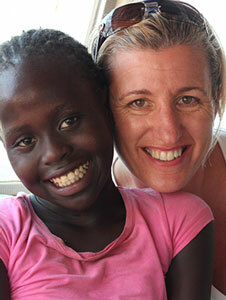 She was wonderful to me in helping me return to TONJ last year. I would like to be on your prayer list if you have one. Laura and I are very glad to hear that God’s ministry in southern Sudan is is good hands with the change over in administrative support. Thank you, Jeamette, for your service, and thank you, Jim and Dena, for stepping into the gap. I am so amazed to see God working through your ministry to the souls in Sudan. It is a real honor to know you, Suzy and Sabet. I miss seeing you, and Lord willing, I will be able to come visit you in your world. In a world that is so opaque, thank you for being such a clear and fragrant representation of Jesus to a world that needs Him. Many blessings and best wishes to Jeamette and her family as she transitions to a new adventure the Lord is leading her on. May she see much fruit in whatever she applies herself, just as she did with In Deed and Truth ministries. I hope I still get to see her when she comes to San Diego. Please let her know she is always welcomed to stay with Terry and me on her visits! I look forward to getting to know Jim and Dena…hopefully when I am planning a visit to Tonj to work alongside you in whatever capacity the Lord will have me.